Like many young Canadians, Ryan VandenBussche’s dream as a child was to one day play in the National Hockey League. Ryan started his hockey career in Delhi where he was scouted for Junior B as a bantam. His Junior hockey career included stints with teams in Tillsonburg and Norwich. In 1990 an opportunity to play Junior A was offered. Over the next three years, Ryan played for the Cornwall Royals, the Newmarket Royals and finally the Guelph Storm. Playing in 180 games, Ryan scored 35 goals and racked up 52 assists for 87 points. He also accumulated 651 penalty minutes and became type-cast as an enforcer. Ryan was drafted in the 8th round by the Toronto Maple Leafs in the 1992 draft and thus began his 14 year pro career in the 1993-94 season. He spent 3 1/2 years in the AHL and made his NHL debut with the New York Rangers Dec. 13, 1997 in a game against the Buffalo Sabres. Ryan remembers having to pinch himself when he realized he was sitting between two hockey greats, Wayne Gretzky and Mark Messier, during the game. 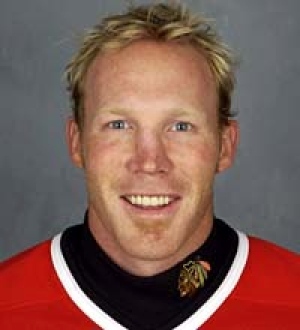 For the next couple of years he played back and forth between the New York Rangers and Chicago Blackhawks, and their farm teams, then spent the next seven years primarily with the Blackhawks. As an unrestricted free agent Ryan then signed with the Pittsburgh Penguins prior to the 2004-2005 season. While in the American Hockey League, Ryan played 340 games, scoring 32 goals and adding 73 assists for 105 points, while getting 1287 penalty minutes, reinforcing his reputation as an enforcer. During his NHL career Ryan played in 311 games, accumulating 10 goals, 10 assists, and 702 penalty minutes. The first year of Ryan’s two-year contract with the Penguins, 2004-05 was mostly spent here at home in Norfolk County because of the lockout. The following season Ryan did manage to suit up with the Penguins during the 05/06 season where he was fortunate to play with rookie Sidney Crosby and Mario Lemieux. The following year Ryan travelled overseas to play in Finland for the Helsinki Jokerits of the Finnish Elite League. Half way through this season Ryan was offered a player-coach role with the New Mexico Scorpions of the CHL. In January 2007 Ryan announced his retirement from the game of hockey due to injuries. Ryan played with the NHL alumni and helped to raise money for the Special Olympics, Alzheimer’s and other charities. He has even travelled to Afghanistan on two separate occasions to play ball hockey with the troops. Over the years Ryan has given back much to his local community. As an Honourary Director of the Norfolk Pros he has helped to raise $750,000. He also continued to be involved with the numerous charity events of the NHL Alumni and worked with best friend Geordie Kinnear to offer summer hockey schools.